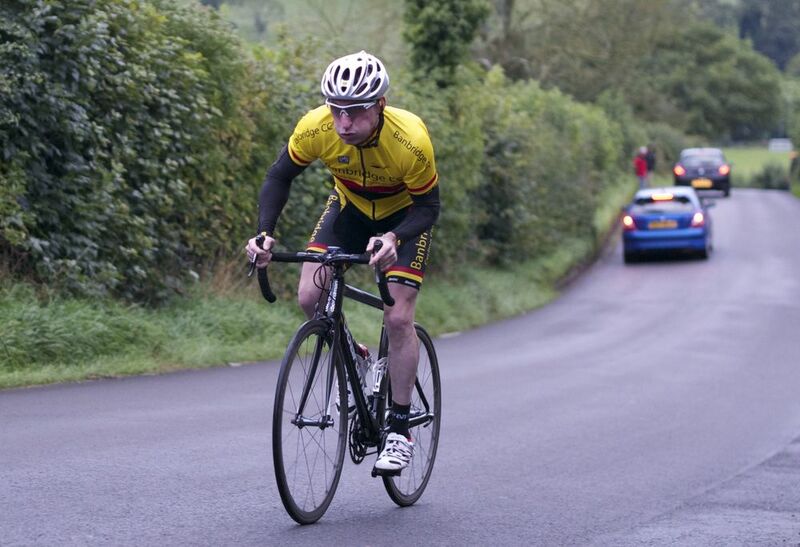 Monday 14th September seen the last round of the Banbridge CC race calendar at the very difficult Cull’s hill climb in Dromore. 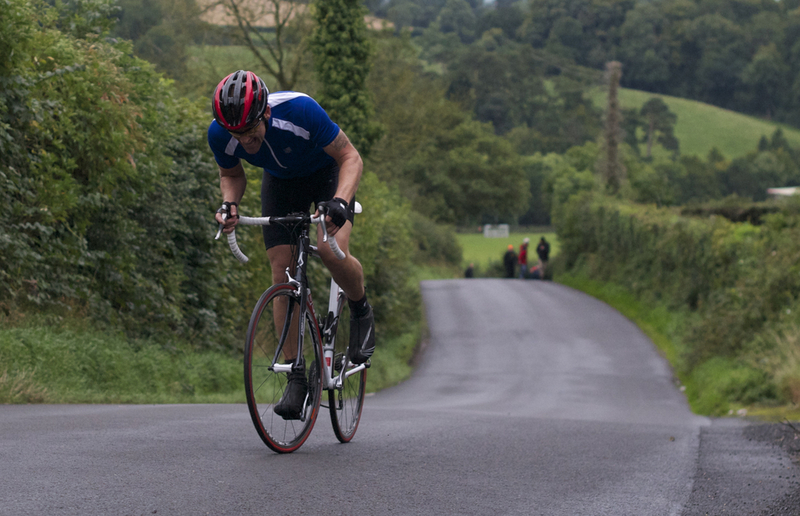 The hill itself is only 0.2 miles in length, but with the riders trying to climb the average gradient of 9.6% as fast as they can from a standing start it’s a testing event! There were only 11 brave men signed up for the start in what was turning out a damp, windy evening. With the light fading fast Alan Towell and Stevie Curran were keen to set the lads off promptly. Ivor Park was at the top recording the finishing times. Johnny Lyons was off first. 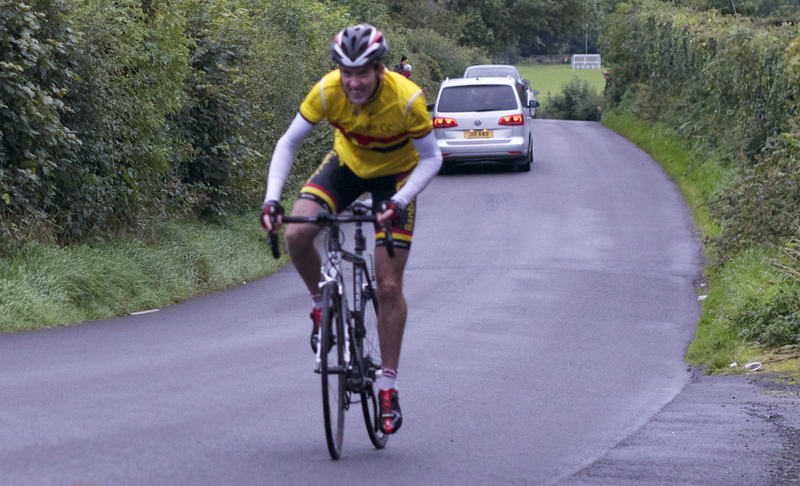 It was his first attempt at the hill climb and recorded a very respectable 1:13, it seemed to be the last kick up hill to the finish line that just had drained him. 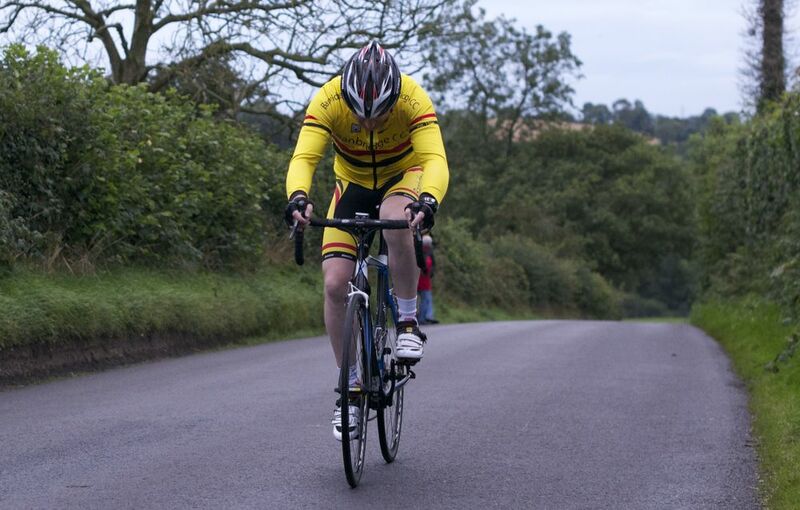 Nathan Sturrock and Martin Fitzpatrick both did a brilliant 1 minute dead – this was brilliant going to take joint 2nd place on the climb. 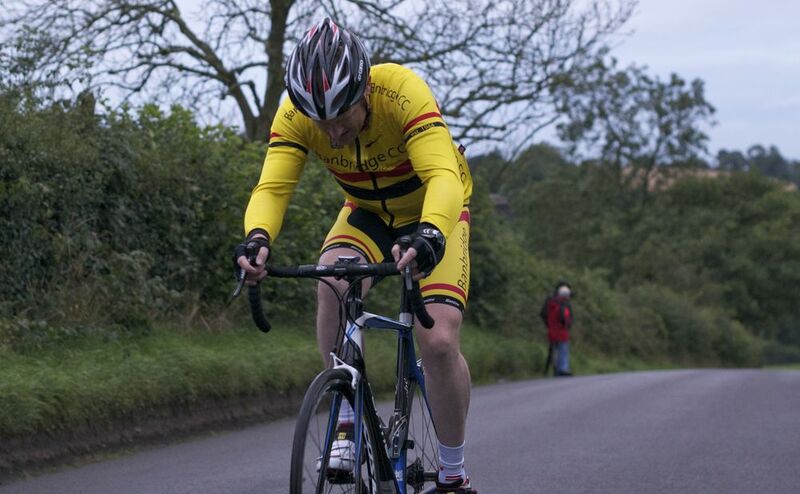 Mark Kendall was also on his first attempt and did a brilliant 1:02 to take 3rd place. 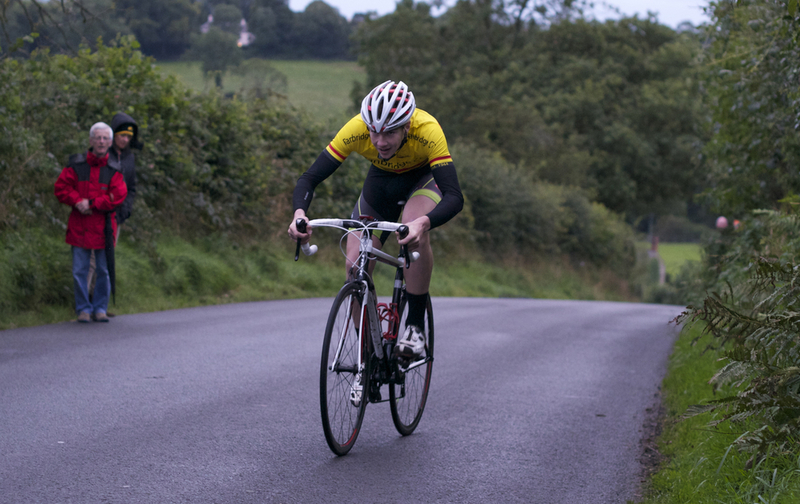 But the winner, with an amazing time of 49 seconds and the only rider to break the minute mark on the evening was John Buller. There’s no stopping this young flying machine from Ballinaskeagh! 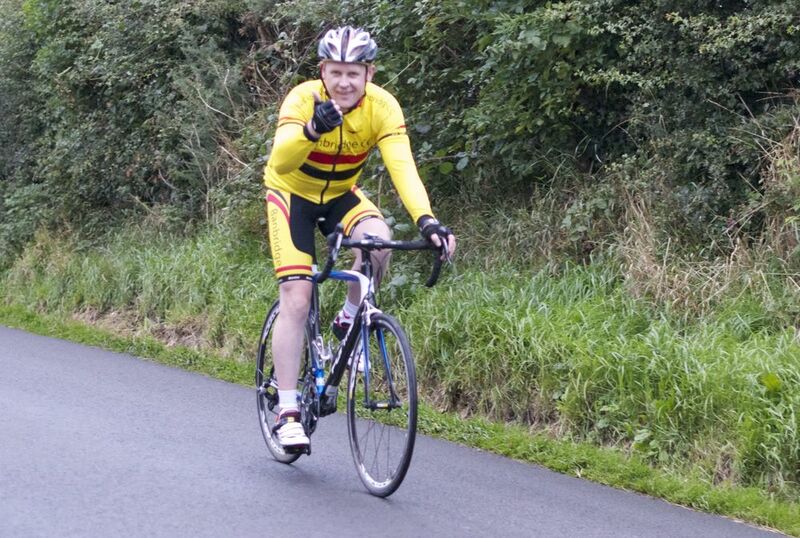 His younger brother Mark also pulled all the stops out to get a 1:05. That’s it for another year. 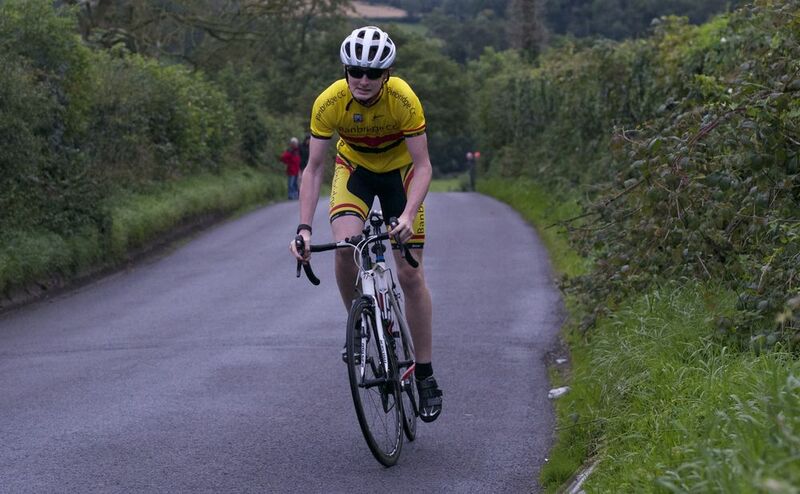 There’s been great help and support for Banbridge CC riders and they would like to pass on their gratitude to all the time-keepers, marshals and photographers who helped them through the year - no matter what the weather threw at them.